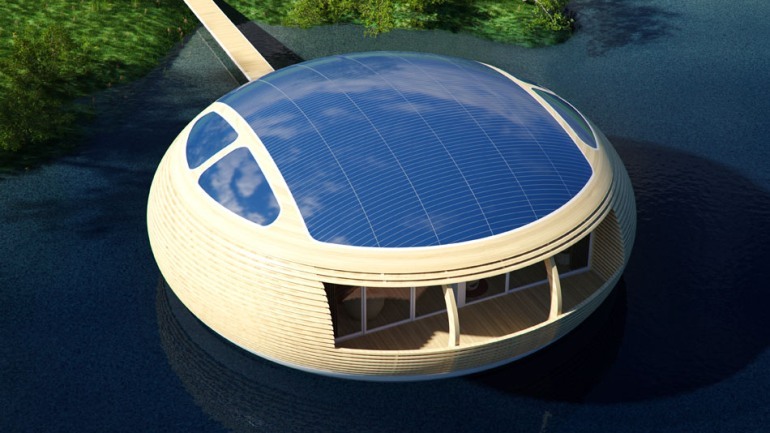 WaterNest 100: A charming, solar-powered floating home that is up to 98% recyclable! 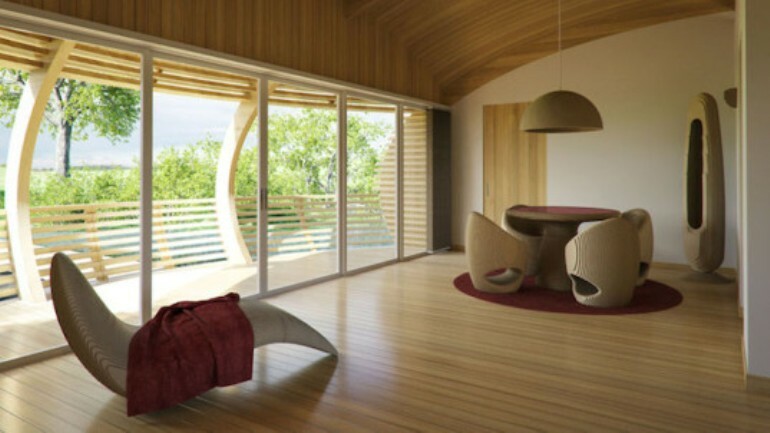 A growing trend in the field of architecture is to create sustainable housing units that bring people closer to nature. 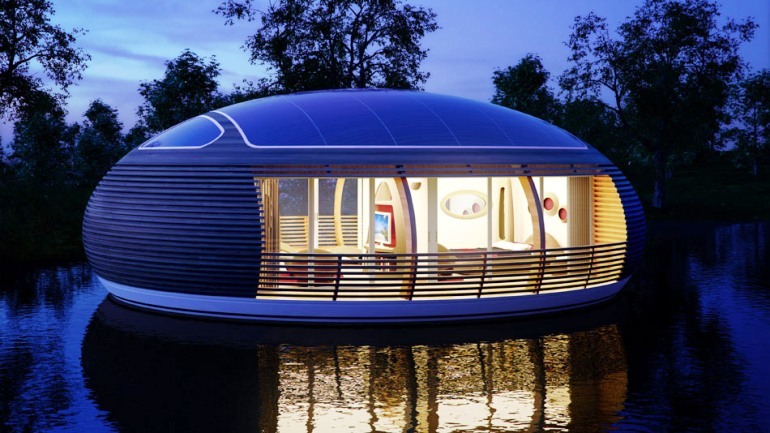 Developed by London-based EcoFloLife, the new WaterNest 100 champions the cause of eco-friendly, low-impact living. 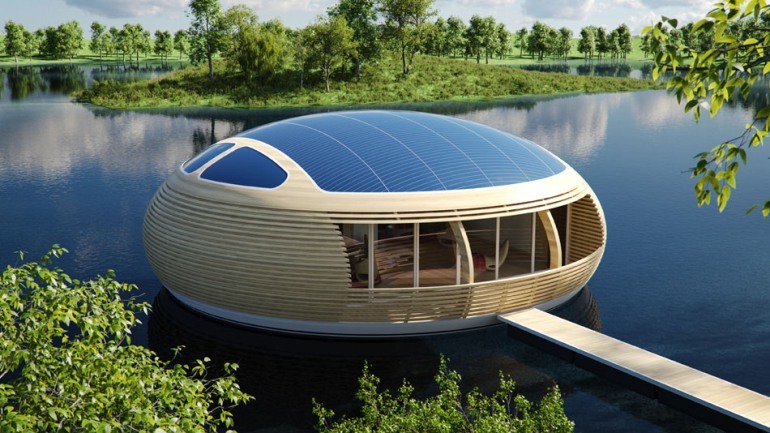 An adorable floating habitat, the structure is constructed using sustainable, locally-sourced materials, which in turn make it up to 98-percent recyclable. Furthermore, it is capable of generating power via the solar panels situated on its roof. 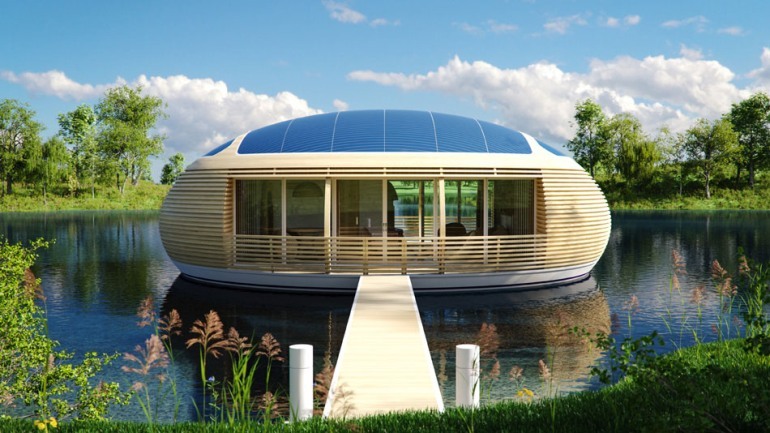 Designed by renowned Italian architect, Giancarlo Zema, the WaterNest 100 is envisioned as a futuristic, self-sufficient residential unit that can be placed in any calm body of water, such as lakes, rivers, bays and so on. Measuring up to 12 meters in diameter and about 4 meters in height, the 1000-square-foot floating home features an incredible recycled laminated timber exterior and a recycled aluminium hull. Strategically-placed expansive balconies and windows provide breathtaking views of the surrounding water. 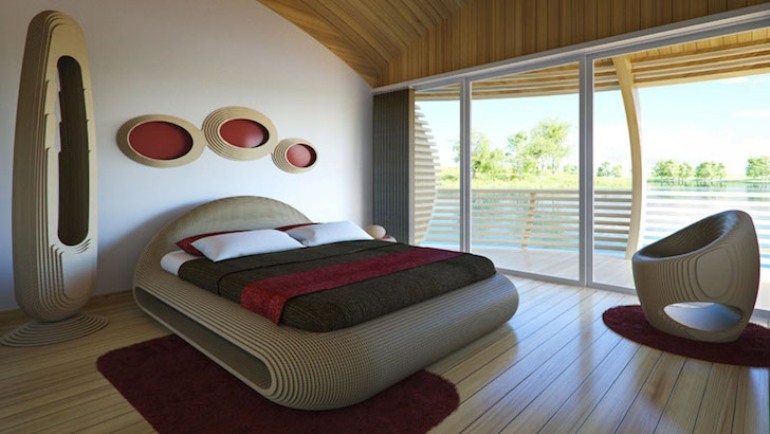 The pod-shaped WaterNest 100 comes with a fully-customizable interior, which can be configured to include a bedroom, a living room, a kitchen, a bathroom and a dining space. 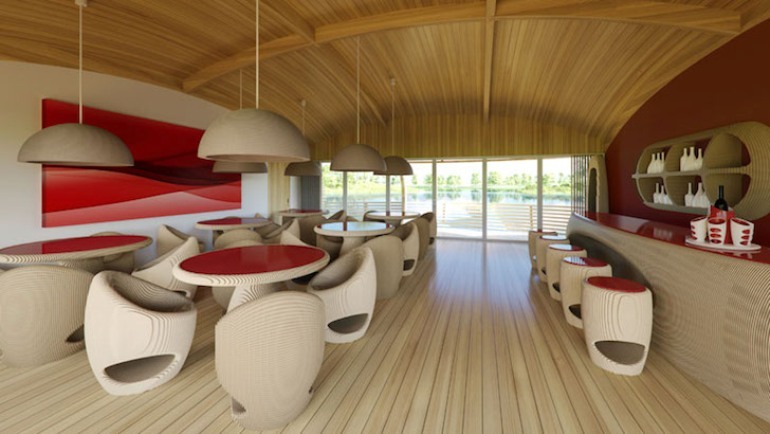 Consequently, the owner enjoys the freedom to re-design the structure into an eco-friendly residence, a floating office, a restaurant, a lounge bar, a shop or an exhibition area, based on his/her living and working needs. Enormous skylights, located on the building’s wooden roof, provide ample natural lighting to all the rooms. Additionally, the roof houses 60-square-meters of solar panels, that in turn produce an output power of 4kWp. The use of sustainable raw materials, along with natural micro-ventilation and low-impact air conditioning, makes the WaterNest 100 up to 98-percent recyclable. To learn more about the architect, Giancarlo Zema, click here.